The back piece includes many faces of some persons who are unknown to me or I cannot recognize them. The Tattoo artist has made these faces with different expressions on each face. 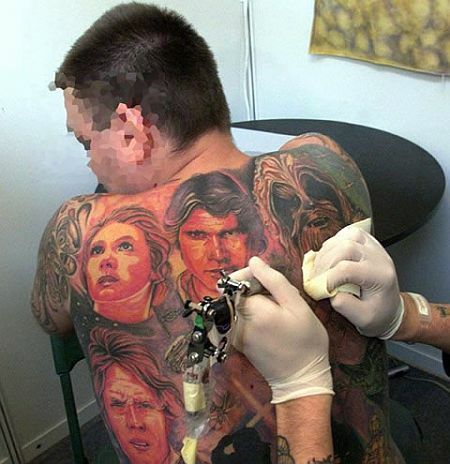 The tattoo is made in such a way that it appears as a photo frame including many photographs of special persons. ← Tattoo, What do they say?